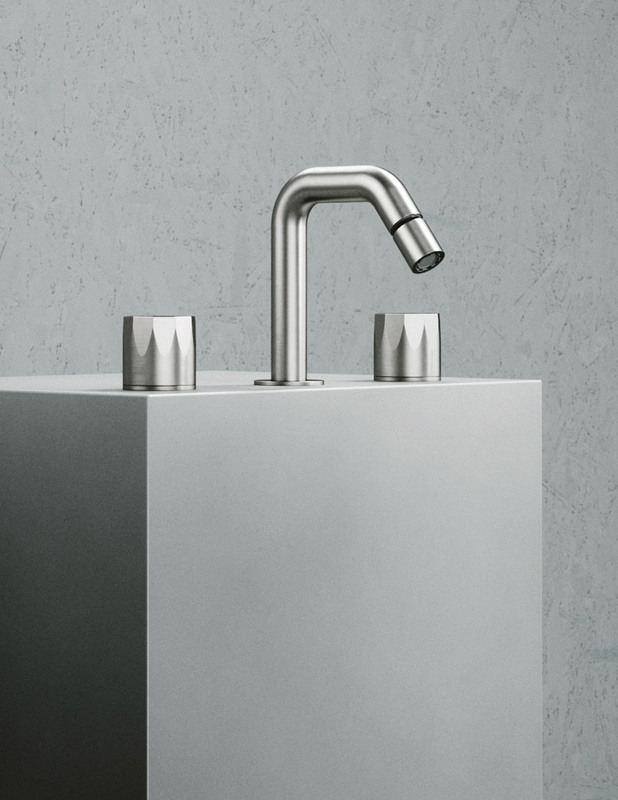 Super minimal yet ergonomic, these three faucets by designer Luca Papini are made from brushed stainless steel and offer a highly modern addition to the bathroom. 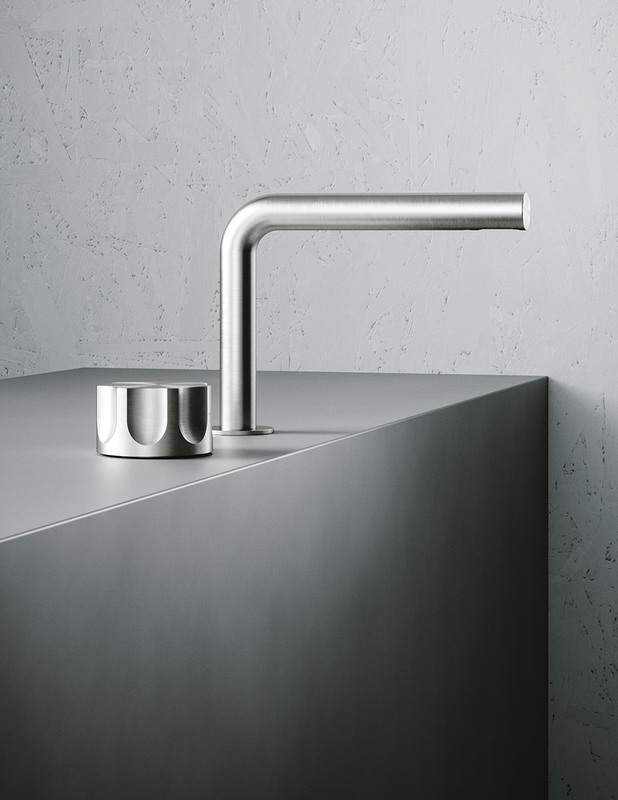 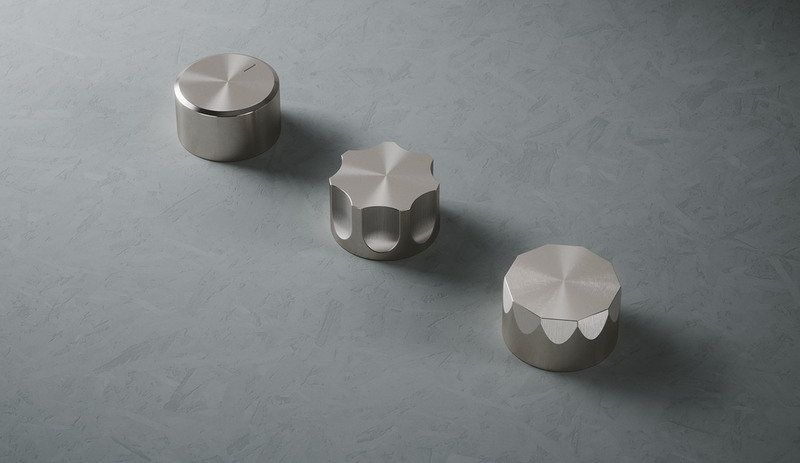 Modo features deep moon-shaped slots in the handles that offer a unique touch (two heights and diametres are offered). 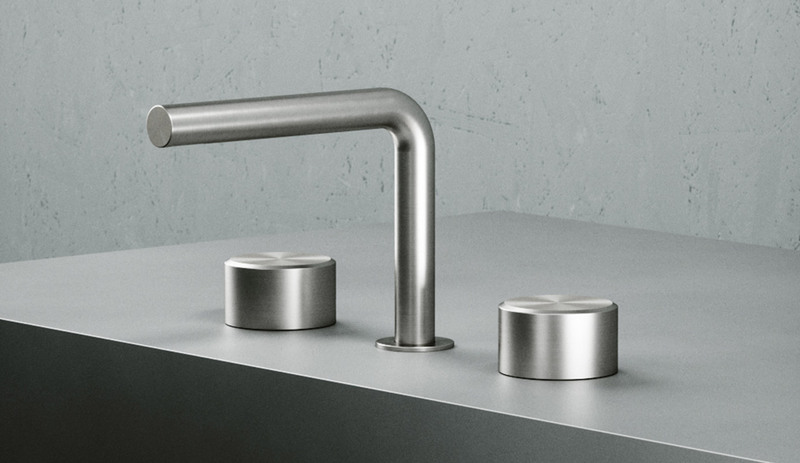 Stereo takes style notes from the handles of vintage Hi-Fi stereo systems.